How do I know? Most of you can’t afford to buy the products/projects you sell for your own homes. Why invest in cabinetry marketing services? The why is simple-either you don’t sell enough jobs or you don’t generate enough profit from the jobs you do sell. 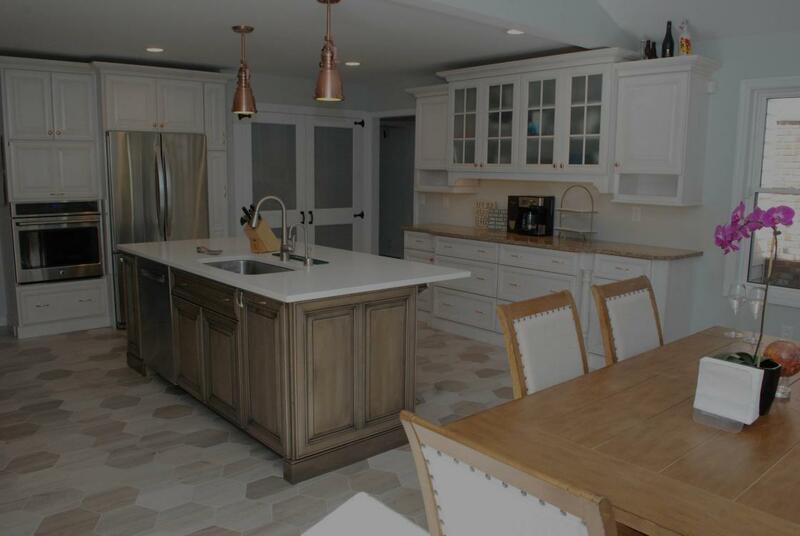 Part of the challenge is how consumers buy kitchen cabinetry and design services. Consumers have been conditioned to think designs are free-thanks to home centers and designers advertising free design. Even though they have nothing until they have a design. Most designers don’t get “paid” for their design services until they sell the job. Your mark up on the job is your payment for design services rendered. For example, if you quote 10 jobs and sell 4. That means the 4 jobs you sold paid for the hours you put into 6 jobs you didn’t sell. However, you didn’t sell the 4 jobs for enough to pay for your time on the 6 you didn’t. That is the real problem in our business. Hey if you do charge design fees good for you-you have dealt with a portion of the problem. Every profession, to some degree, invests time without receiving money. However, the difference in other industries the owner of the company is not doing something as highly technical as designing a kitchen. And ignoring all other aspects of running his/her business, while he does that. In other words the business has enough margin that the owner can hire other people, like sales people to sell. But you say” I don’t want to hire sales people or designers”. You may not, but I bet you would like to make enough money and have enough business to have that option. But this isn’t about design fees. Not being able to charge design fees is a symptom of a bigger problem. You need to take control of your business. You need to set the expectations. And stop responding to someone who doesn’t know ½ as much as you do-like your customers for instance. If technical knowledge isn’t lacking. And desire to do the best isn’t lacking. What is lacking in your business? How do you fix it? What do you fix There is only one way I know- marketing that gets you the best possible leads, consistently. ”I don’t need to do marketing, because all my leads are word of mouth.” Word of mouth is a great lead generator-no argument here. It is also an excuse for not thinking about something that you know you should. You are intentionally creating a barrier to change. Let me ask you this, “Why would you expect your past customers to do your marketing for you?” Kind’ve crazy isn’t it? I know every time your customer enters their kitchen you think they offer a word of praise in your name. And that they are always considering friends to refer. But they don’t do that-they live life. They have their own cares and concerns. Referrals work great if you are introduced to someone at just the right time in their shopping process. What if your referral comes through after they have a design and designer they like? A little late-right? This is when you get to quote and price the design of someone else. Not the best way to play the game. OR worse yet the “referral chain” gets broken. You get a job or two where your customer doesn’t have anyone to refer or simply doesn’t care about referring you. Don’t get me wrong I’m not opposed to a structured referral. And structured is just what it needs to be to be done right. But referrals are only a segment of what you should do. What gets in your way of developing marketing? Lack of time. Don’t know where to put your time or financial resources. You may have been “burned” in the past, i.e., you spent money and got no results. Maybe it was a magazine ad or home show or new web site that failed to deliver-lots of time, energy, and money. What if you could get a marketing education? Focus your resources-physical and financial for the greatest return. Take control of your business life. Proven marketing services at only a fraction of the cost. Think about a marketing and lead generation system where you take control of the outcome-meaning you get your ideal customer over and over again. Think about steady job flow throughout the year instead of having 90% of your work in 6-7 months and worrying about lack of business the rest of the year. So how do I deliver this? I formed www.kitchendesignpartner.com with Ben Layne, a top notch marketing consultant with lots of experience in the home improvement industry. And we have honed in on the unique needs of kitchen designers. We know your concerns about monthly marketing costs and the challenge in attracting just the right customer. You will pay a monthly subscription for your area for the marketing services. We have tiered pricing. The levels depend on how much you want us to do. You would pay thousands per month if you contracted with a marketing pro for the level of service we are providing for significantly less. And you have the added benefit of me, your cabinet rep, who has a vested interest in your success. Truth is most designers hear prices like thousands per month and they are turned off. Not just turned-conversation over. It works for you because the cost of delivering the marketing is spread over many designers. The tactics are similar, which reduces the cost, but your strategy is unique. You will not be competing with another kitchen designer in the same area or town you work. With rare exceptions being a kitchen designer involves working locally-I define that as not more than 10-15 miles from your showroom or home. Go to www.kitchendesignpartner.com to learn more.